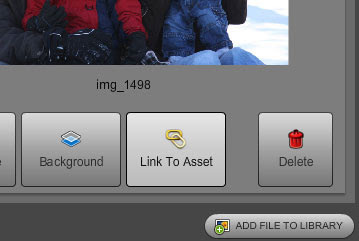 Added a "Link to Asset" button to the media window so you can get a direct link to any of your images or files. 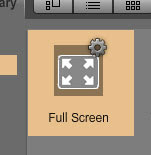 Addition of a Full Screen Button to the media library (look in "Components") to allow browsing of a site in full screen mode. Note: if you host your HTML you will need to export and upload your HTML again. Option for links to open in an "Overlay" window. Check this one out as it is really cool and will allow you the flexibility of opening other HTML pages such as a blog or web page right inside your site without a popup or new window. Added an option to specify a field as the reply-to email in forms so that when you receive contact form emails, you can click reply in your email program and reply directly to the sender. In addition, this new version adds support for Adobe Air 1.5 for improved performance and additional fixes for locking user accounts, and we also added a translator app to allow people to begin translating Showit Sites (if you are interested in translating, let us know). 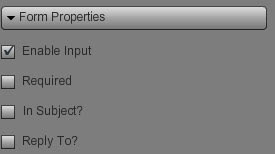 We have a lot more in the works such as custom fonts and additional plugins that needed a little bit more work before they are ready for public release. We hope you enjoy! I use Show-it-fast as the core for my wedding site. Check it out! Great stuff, once again. Keep up the great work!